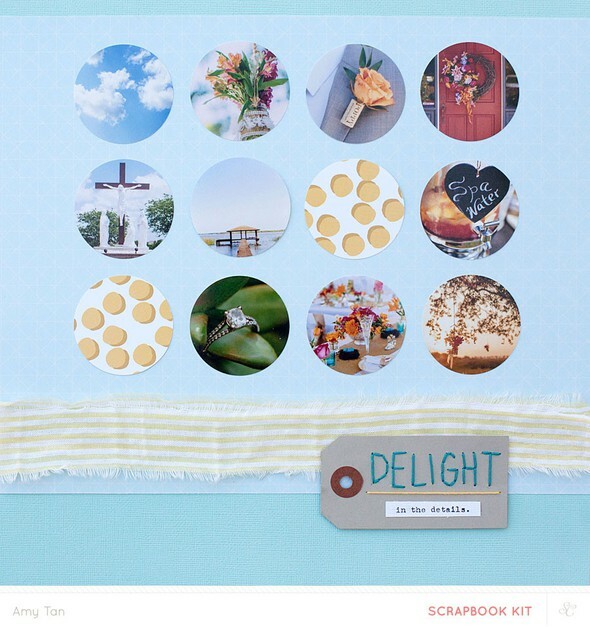 This is a scraplift of http://www.studiocalico.com/galleries/129698-donut-worry by Olatz. 10 photos on a single page, no problem! 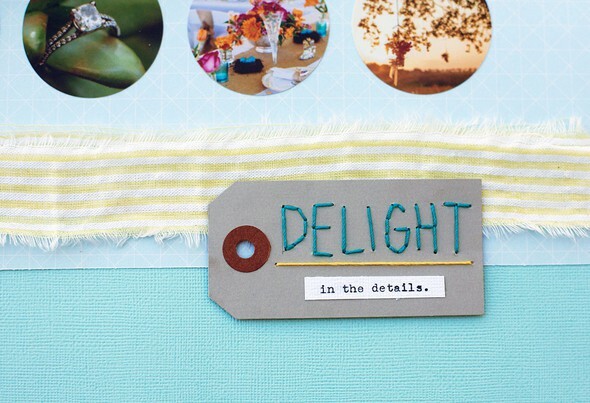 Using a circle punch is the best way to show off those wedding details without too much fuss.